I am so excited to have a new Mackage Bijour jacket. Sooooooo EXCITED!!!!! The jacket is even more beautiful in person. This may be the most obsessed that I've been with a designer / brand. All of my expectations are exceeded with every purchase. It is definitely "Detailed to Perfection". Mackage definitely makes Canadian winters so much more lovable and stylish. 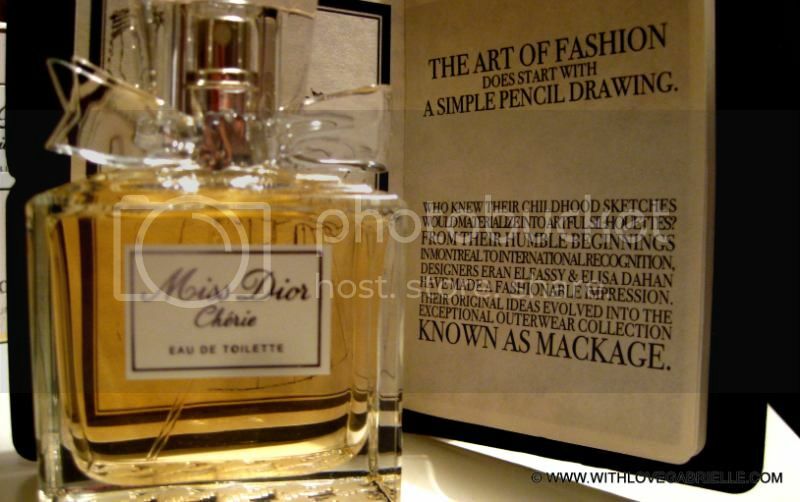 I also recently purchased Miss Dior Cherie from Christian Dior. Although Chanel Coco Mademoiselle with ALWAYS be my signature scent, Dior it is nice to change it up. Curious to hear what are your favorite designers for your cold weather wardrobe?